Universities were, however, at liberty to increase their cut-off marks, with the majority doing so. The new minimum cut-off point for universities has received lots of flack from parents, civic right groups, and students. 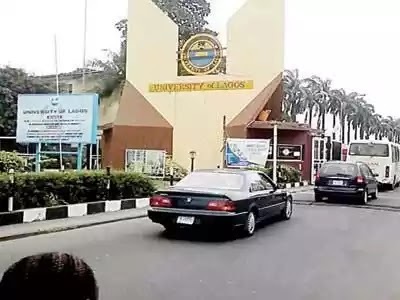 According to the list of adopted cut-off marks, the Obafemi Awolowo University, University of Lagos, University of Benin and the University of Nigeria, pegged their cut-off point at 200. Bayero University, Afe Babalola University, Oduduwa University, Pan – Atlantic University, Veritas University, Ritman University, Federal University Wukari, Federal University Lokoja, Federal University Ndufu Alike, University of Ilorin, University of Maiduguri, University of Port Harcourt, Nnamdi Azikwe University, University of Uyo, Usman Dan Fodio University, Michael Okpara University of Technology, Abubakar Tafawa Balewa University, Federal University of Technology, Owerri, Federal University of Technology, Niger, Akwa Ibom State University, Ekiti State University, Enugu State University, Ondo State University, Lagos State University, Osun State University, and Ladoke Akintola University of Technology pegged their cut-off points at 180.